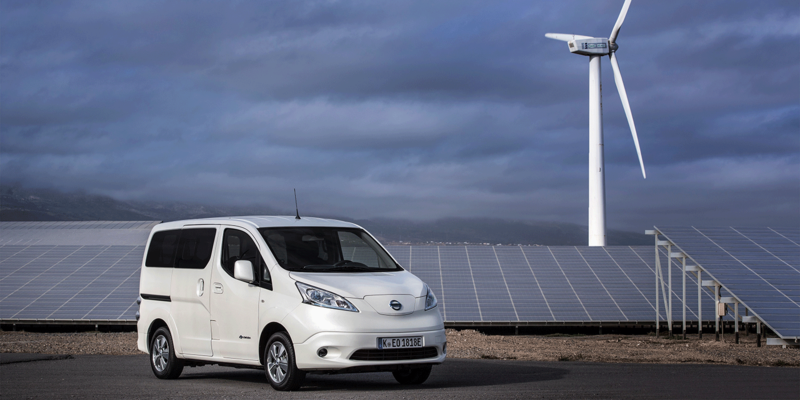 Nissan has begun the delivery of its Barcelona-made e-NV200 with an increased battery capacity by 40 kW. 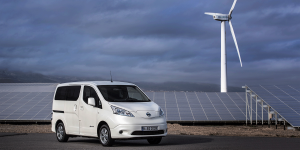 Since the market launch in January, more than 4,000 orders have been accepted for the new e-NV200, according to Nissan. The revamped BEV will first be delivered to customers in Europe and Hong Kong. Deliveries in Japan will follow shortly after. In Barcelona, the e-NV200 has been in production since 2014. Last year, the model sold more than 18,000 units, leading the European electric transporter sales. The entry variant of the e-NV200 with a larger battery has been up for order since January at a price of 34,105 euro (gross). This version does not feature a CHAdeMO fast charging port. Also the battery cooling unit was skipped. This also is the case fo the NissanConnect EV. The model variant Evalia is also no longer being made with five seats, but with seven instead, for a price of 41,690 euro. For each of the vehicles, the environmental rebate still applies, as well. The prices include the battery, as the Japanese company has bid goodbye to the concept of battery rental. They also advertised sales with a special limited series called the 2.ZERO Edition. Concerning the entry variant, the e-NV200 with the new battery is capable of a range of 280 km, according to NEFZ standards, or 200 km according to WLTP. For craftsmen or companies active in urban areas, a daily standard. The size of the battery itself has not actually changed, so the load volume of 4.2 cubic meters is still valid. The load capacity has sunk from 770 kg to 703 kg, however. A look at the charging ports confirms that the e-NV200 is not using the new type 2 chargers that Nissan has implemented in the new Leaf. Instead the type 1 charger is still present. However the 6.6 kW single phase AC charger is now a serial feature. This had been a 1,000 euro bonus feature before. DC fast charging is still done via CHAdeMO, however this is not a serial feature with the entry level model, and is only included as of the “COMFORT” version of the vehicle. The other technical details have not really changed from the previous version: an 80 kW electric motor drives the e-NV200, which was also used in the first generation Leaf. Torque is unchanged at 254 Nm, and the acceleration from 0 to 100 takes place over 14 seconds. The top speed is at 123 km/h. The technology is quite sufficient for emissions-free inner-city use for personal or goods transportation. Nisson Europe head of electrified vehicles Gareth Dunsmore, stated that he believes that emissions-free mobility is a cornerstone of urban logistics of the future. He also believes that the increased range of the e-NV200 will help play a key role in achieving this change.